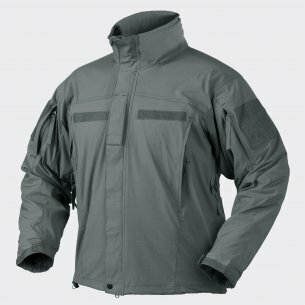 Fleece avialiable in 3 colors: black, coyote, and taiga green. Warm and practical men's sweatshirt with a hood should be in the wardrobe of any amateur active lifestyle. 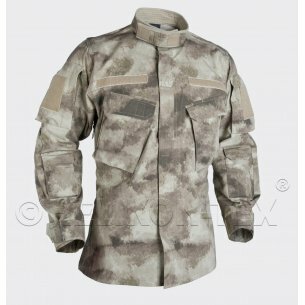 We offer clothing from the reputable brand Helikon-Tex, which will meet the expectations of not only military style fans. We encourage you to familiarize yourself with the department of comfortable and durable sweatshirts with many additional functions. Military clothing in this version is a great choice both for survival expeditions and for less demanding physical activities. Helikon Cumulus - why is it worth choosing? 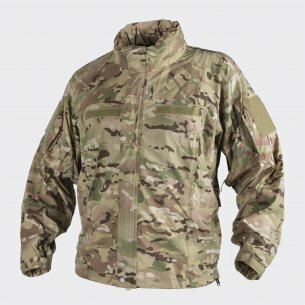 Among the military clothing available on the market Helikon Cumulus sweatshirts are very popular, also on the Polish market. They are products made of high quality materials, which provides them with very good durability. Our offer includes sweatshirts made of polyester, which work well even in very unfavorable weather conditions. We offer models with a standard cut, ensuring freedom of movement in every situation. The Helikon Cumulus sweatshirt can be worn in many ways, depending on the individual needs of the user. It is a convenient alternative to traditional outerwear in the form of a jacket or coat, and on colder days it can be worn under warmer items of clothing. We offer fleece sweatshirts with a hood that effectively protect the head against wind and rain. It is worth paying attention to the practical end of the hood in the form of a roof, thanks to which the entire cover fits well to the shape of the head and better protects against rain. Just like traditional fleece clothing, the Helikon Cumulus sweatshirt also protects against cold, which is why it is an excellent choice for the autumn-winter weather. In addition, its functional high collar also deserves attention. Zipped hooded sweatshirts are very popular among people who care about comfort in every situation. You can find clothing from the renowned brand Helikon-Tex designed to keep you moving. An example is a men's hooded sweatshirt with a practical zipper. It can be easily fastened and unbuttoned, depending on the current weather aura. The comfort of wearing is also influenced by cuffs on the sleeves (elastic cuffs) and mesh inserts that have been placed in critical places - so that they provide optimal airflow. In practice, the Helikon Cumulus sweatshirt is a great choice also for people who are putting on intense physical training in the open air. Men's Helikon-Tex sweatshirt enjoys a well-deserved reputation among users of professional military clothing. We offer our clients clothing in various colors, including typical military tones. Depending on your expectations, you can choose a Helikon Cumulus sweater in the color of green, gray, brown or black. Each of the proposed colors helps in maintaining camouflage in the open air. Military clothing is not only dedicated to supporters of survival or military style - it fits perfectly into everyday stylizations. Helikon Cumulus sweatshirts available in our store will also appeal to those who love relaxing walks in the forest. Because they are lightweight and comfortable to wear, they are a great choice for hiking, cycling or gardening. We offer products in attractive color versions that can be easily adapted to other styling elements. Hooded sweatshirts fit both ordinary jeans and trousers, camo pants or shorts. It is worth noting the additional advantages of the Helikon Cumulus sweatshirts, which affect the practical nature of clothing. Certainly many users will appreciate the presence of functional pockets - two normal ones on the front and two upper ones located on the sleeves, which are fastened with a zipper. You can easily place essential items in them, also with a view to the survival expedition. An undoubted advantage is also a waist strap, which allows you to adjust the circumference to the silhouette. 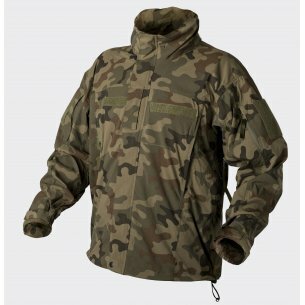 Hooded Helikon-Tex is a product dedicated not only to amateur military style. We invite you to shop in our store - we offer sweatshirts in a wide range of sizes and colors.